Singapore & Sumatra Travel through the beautiful untamed jungles of Sumatra. Our wild orangutan trekking tour will bring you face to face with the beautiful Sumatran Orangutan. From $3200 / person | Comprehensive package including accommodation for all nights, in-country transport by private bus, train, or flight, lecture and instruction materials from our expert guides, all activities as listed on the itinerary, and 2 meals per day. This Acanela Expedition © is an active adventure and wildlife safari experience. Embark on this small group exploration and have hands-on encounters with wildlife and local communities, while experiencing historical & culinary highlights along the way. Arrival Airport: Singapore International Airport (SIN) Arrive in Singapore, where you will be greeted at the airport and taken to your hotel. Spend a full day in Singapore on a guided tour exploring some of the city’s top highlights. From Marina Bay Gardens to the Malay Quarter there is so much to experience. In the afternoon enjoy a traditional Singaporean lunch and free time before returning back to your hotel in the late afternoon / early evening. Enjoying a delicious breakfast, continue to the airport terminal where you will catch your International flight from Singapore to Sumatra. The flight is roughly 1.5 hours, arriving in the early afternoon. Upon arrival you will be met by your Driver & Guide and taken to Bukit Lawang, one of the closest village to the Orangutan Jungles of Sumatra. The drive is approximately 4 hours, with lots of interesting things to see along the way. Upon arrival to Bukit Lawang, you will check-in to your Ecolodge and enjoy a delicious dinner at one of the most beautiful and unique restaurants in the word (made completely from Bamboo). During your dinner you will meet with your guide who will prepare you for the following day’s excursion into the Gunung Leuser National Park - home of the orangutans! Wake up early in the morning to enjoy a delicious breakfast at the Bamboo Restaurant, during which you will be met by your guide to make sure you are prepared to head into the jungle! Today’s excursion starts with a short walk along the river bank, through a rubber plantation, and into the National Park. As you hike you will see different varieties of: Sumatran Orangutan, birds, butterflies, white handed gibbon, hornbills, Thomas leaf monkey, various reptiles possibly even to a Sumatran Tiger or Sumatran elephant (although rare). 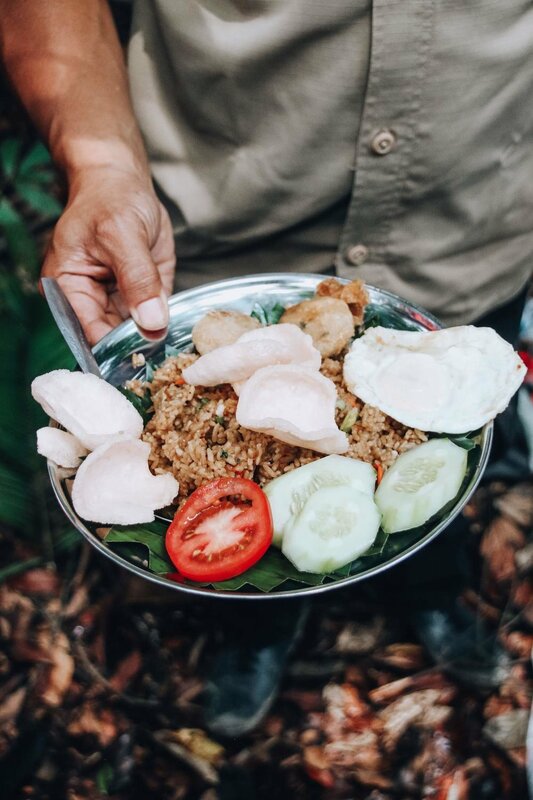 You will trek for 1-2 hours looking for Orangutans before pausing for lunch in the early afternoon for a picnic of fresh fruit and Nasi Goreng (Indonesia’s national dish). After lunch we will continue our trek, spotting several more Orangutans before we exit that national park in the late afternoon. You will return back to the Ecolodge for the afternoon, enjoy free time, coming together for dinner at the Bamboo Restaurant with your guide and group. Today you will venture to the outskirts Bukit Lawang to learn about the Sumatran elephant. After a drive of approximately 3 hours from Bukit Lawang, you will near the Sumatran Elephant Sanctuary that is home to several rescued elephants from the logging and Palm Oil trade in Sumatra. These elephants are no longer wild, and are used by the locals to patrol the park to help protect the endangered wild Sumatran Elephants from poachers. It is a unique experience to be with the baby and adult elephants (you will have the opportunity to interact with them as they wash in the river). 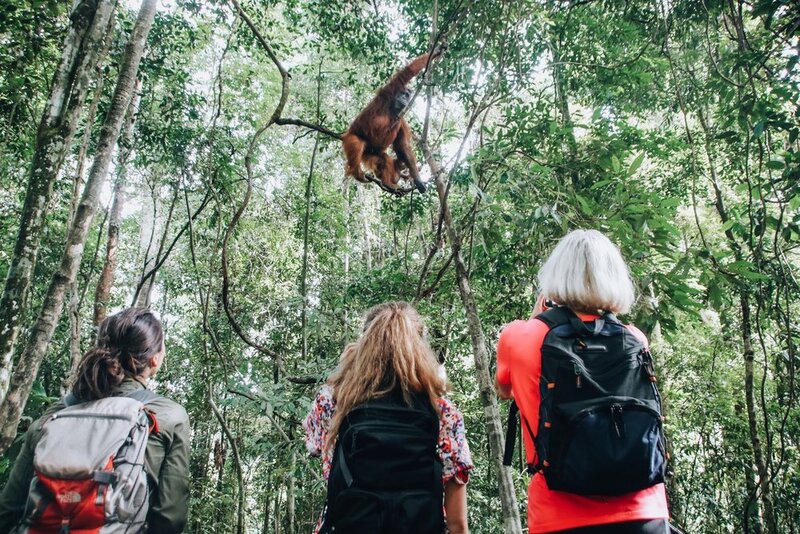 If you would rather not visit the elephants, you can having the option to going for a second Orangutan Trek in the jungle to spot more Wild Orangutans. After an early breakfast, you will check out of your hotel and embark on the 4-hour drive back to Medan International Airport where you will catch your flight to Singapore. 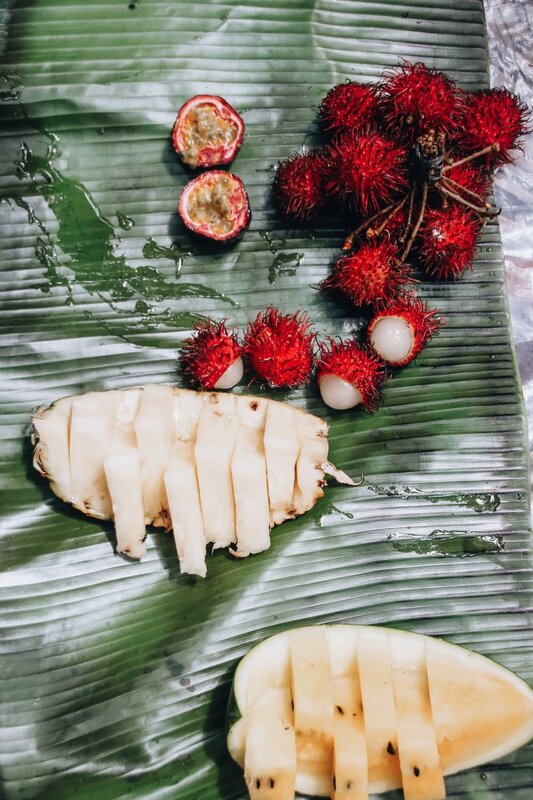 Arriving to Singapore in the early evening, you will check into your hotel and enjoy a delicious dinner reminiscing the wonderful experience you just had in Sumatra! Enjoy breakfast before checking out of your hotel and continuing to the airport to catch your flight back home. Of all the islands I’ve visited, Bali is my favorite. The pristine beaches, rushing waterfalls, verdant rice terraces, and massive volcanoes create a stunning scene. Bali’s beauty is otherworldly, and you can’t help but feel like you’ve stumbled into a magical paradise. One of the best things about Bali is that it’s more than just breathtaking views—there’s no limit on adventures to be had. Keep reading to learn about my favorite things to do in Bali! Beaches, reefs, volcanoes, rice paddies, jungles, great food, and more: Indonesia has it all. With 17,000 islands and over 300 languages are spoken, this is a place of contrasts and cultural diversity. For Tina, one of our recent travelers, the Bali Expedition proved to be an unforgettable experience with memories to last a lifetime! Beaches, reefs, volcanoes, rice paddies, jungles, great food, and more: Indonesia has it all. With 17,000 islands and over 300 languages are spoken, Indonesia is a place of contrasts and cultural diversity. Come and experience it for yourself.